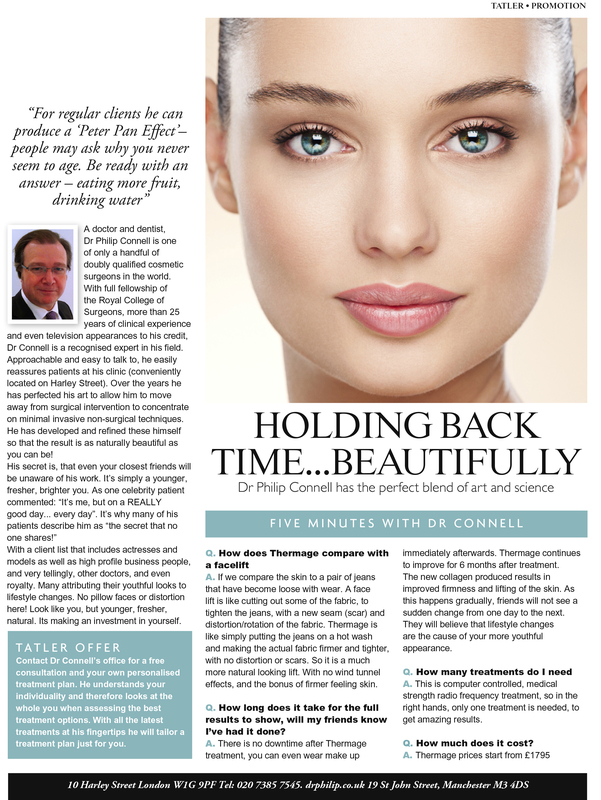 At Beauty FX we have a resident Harley Street cosmetic surgeon offering Botox, dermal fillers and the amazing Thermage radio frequency treatment with the results of a face lift with no surgery and no downtime. A leader in his field, Mr Connell leads where others follow. He is a Fellow of the Royal College of Surgeons whose method of injecting Botox has been adopted by the British Association of Cosmetic Doctors as the approved method. It may surprise you to learn that a facial consultation is FREE and should you wish to have a treatment we charge the same price you would pay for treatment with a nurse at a lesser clinic.